manufacturer's global retail architectural standards, the facility promises to become a new automotive landmark in this part of the country. "It is with pride that we welcome enthusiasts and customers to a new Porsche destination in India. This world-class showroom is a tangible example of the commitment that Porsche has for the Indian market. Our customers in this part of our country can now look forward to a highly customer-centric approach focusing on a unique Porsche ownership experience," said Anil Reddi, Director of Porsche India. Construction of the centrally located showroom started in June 2012. The facility offers 10,900 sq ft space across two levels boasting display space for up to 15 cars. In the dedicated fitting lounge, equipped with samples of optional elements, customers will be able to learn more about the almost limitless individualisation programme Porsche offers to make each car like no other. In keeping with the Porsche experience, Porsche Centre Gurgaon also features a bistro, a shop-in-shop section for exclusive Porsche merchandise, an open terrace for private functions and a dedicated car delivery area. "The entire Porsche range now has a contemporary home in Gurgaon. 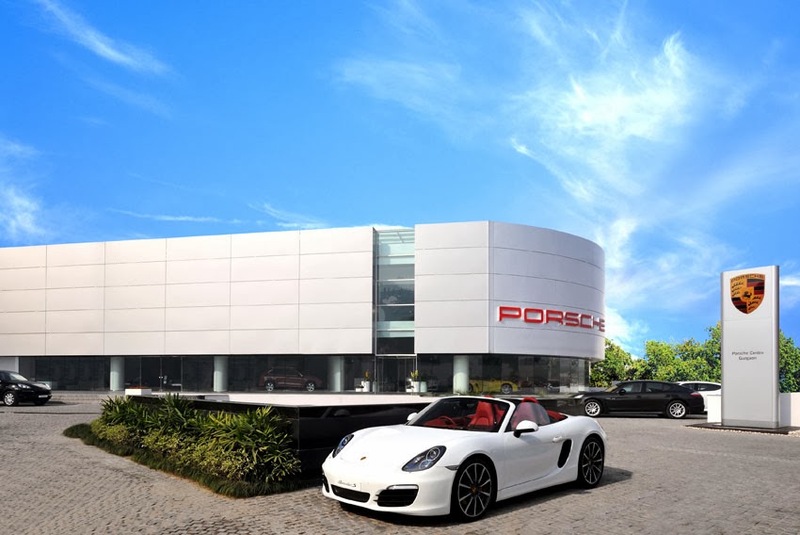 Porsche Centre Gurgaon will be a landmark in automotive retail in more ways than one. We look forward to offering the world-class Porsche experience and serving our customers in our market,"said Rashy Todd, Managing Director of Porsche Centre Gurgaon.